This book begins with the approach that the bow should be perfectly balanced between two strings when it is playing a double stop. 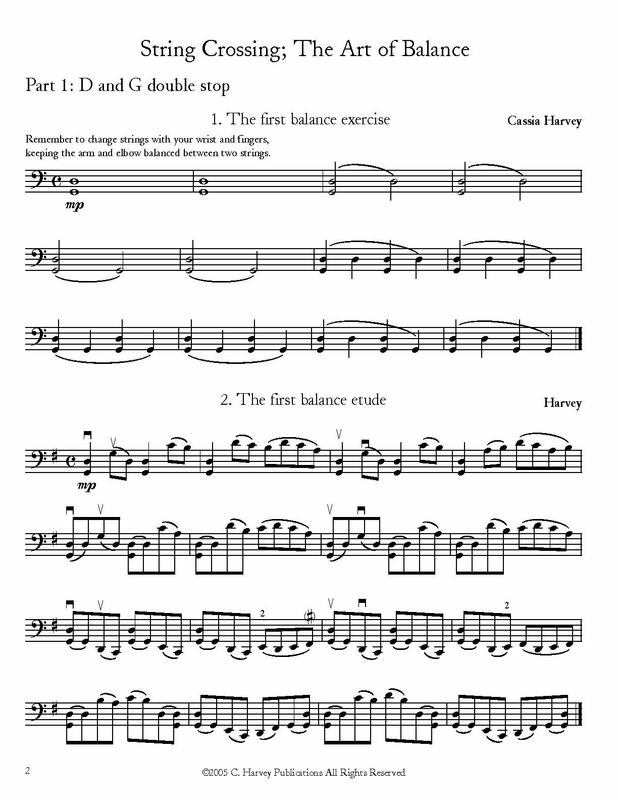 String Crossing for the Cello, Book Two uses exercises, etudes, and short excerpts of Bach to help the intermediate cellist study string crossing between any two strings with the bow. This book can also help more advanced cellists refine their bow technique prior to playing Bowing Studies on Arpeggios for the Cello.